This post has been compensated by Blog Meets Brand and its advertiser. All opinions are mine alone. My husband and I are a on mission this year to get healthy and lose weight. I had a few issues with my heart this past year and it really got me thinking about how important it is to get healthy. I also want to set a good example for our son. Being active isn’t our problem. We are extremely active doing chores and living on a farm. We still need to add more exercise to our daily routines and make some other changes to really make sure we stay on the right track. Here’s some great tips to get healthy and lose weight this New Year! Change Your Lifestyle. Easier said than done, right? It’s time to start and quit putting it off! Instead of doing the elliptical once a day, I am going to start doing it twice a day. Meal Delivery. Planning meals can be hard especially if you are making a big change. Try a meal delivery like the Turbo10 program from Nutrisystem. It is a great option for meeting your weight loss goals in 2016. 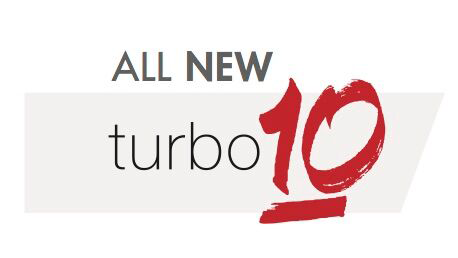 The all-new Turbo10 from Nutrisystem. Lose up to 10 pounds and 5 inches in your first month. Turbo10 is a four-week program that includes breakfast, lunch dinner and snacks delivered right to your door. Plus get all-new Turboshakes™ packed with protein plus probiotics to help support digestive health and bust belly bloat, and NutriCrush® shakes to help crush hunger. Motivation. Share your New Year’s weight loss resolution with family and friends or people who support you. It can make it much easier to reach your goals and you’ll have a great team for motivating you. It’s also easier if your family has similar goals so you can work toward them together. Don’t Skip Breakfast. I am so bad about skipping breakfast and lunch because I’m normally working at home all day by myself. It’s very important to have a nutritious breakfast. Keep it simple and low-calorie fueled with food that will keep you going throughout the day. Clean out the Pantry. Go through your pantry and toss out any unhealthy food, snacks and treats. You’ll feel so much better once the temptations are gone. Treat. Yo. Self! Be sure you give yourself a cheat day once a week. Indulge in one of your favorite treats or meals but just don’t over do it. Don’t deprive yourself of your favorite things or it will be very hard to stay motivated. Drink More Water. I’ve always been one to drink loads of water. I even go to bed at night with a bottle of water. In the middle of the night I often hear my husband toss it off the bed. haha! For new product announcements and special offers follow Nutrisystem on Twitter and Facebook. How do you plan to get healthy in the New Year? Comment below and share with us! all you have to do is just avoid consumption any meat and ham. you’ll see the result in 1 month. just eat everithing from vegetables and fruit. live normal, no starve, no suffer ! trus me ! Thanks for the tips I need to lose weight very much for my health.